“United States of Secrets”: How the Government Came to Spy on Millions of Americans"
In “United States of Secrets,” a two-part series airing May 13 & 20, FRONTLINE reveals the dramatic inside story of how the U.S. government came to monitor and collect the communications of millions of people around the world—and the lengths they went to trying to hide the massive surveillance program from the public." When NSA contractor Edward Snowden downloaded tens of thousands of top-secret documents from a highly secure government network, it led to the largest leak of classified information in history — and sparked a fierce debate over privacy, technology and democracy in the post-9/11 world. 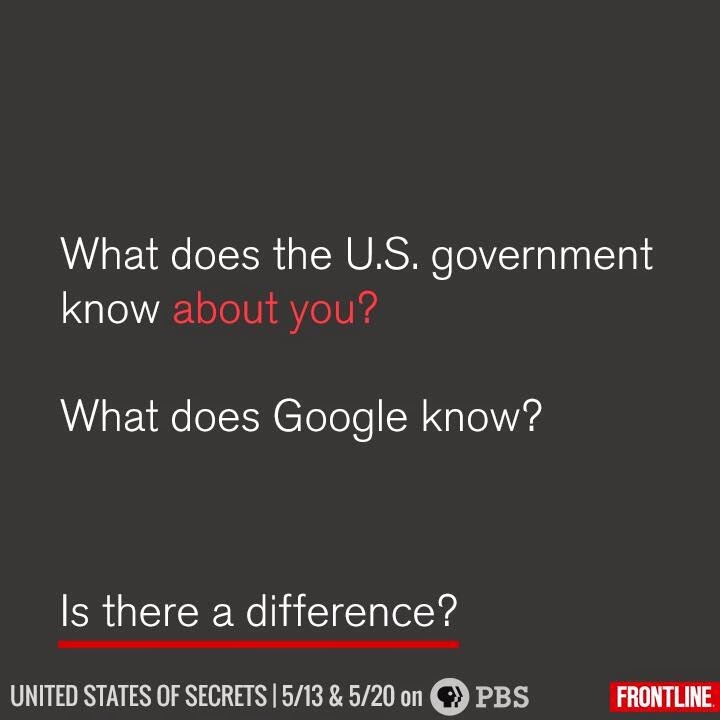 Now, in United States of Secrets, FRONTLINE goes behind the headlines to reveal the dramatic inside story of how the U.S. government came to monitor and collect the communications of millions of people around the world—including ordinary Americans—and the lengths they went to trying to hide the massive surveillance program from the public.